The ancient Greeks came up with the beauty salon. A place where women could come gather around and have their cheeks blanched with white lead and have their hair dressed in various artistic ways. Sometimes they had their hair dyed bright red or blue colors. Spartan brides used to crop their hair: Athenians covered their hair with veils. Women cut their hair as a sign of mourning. 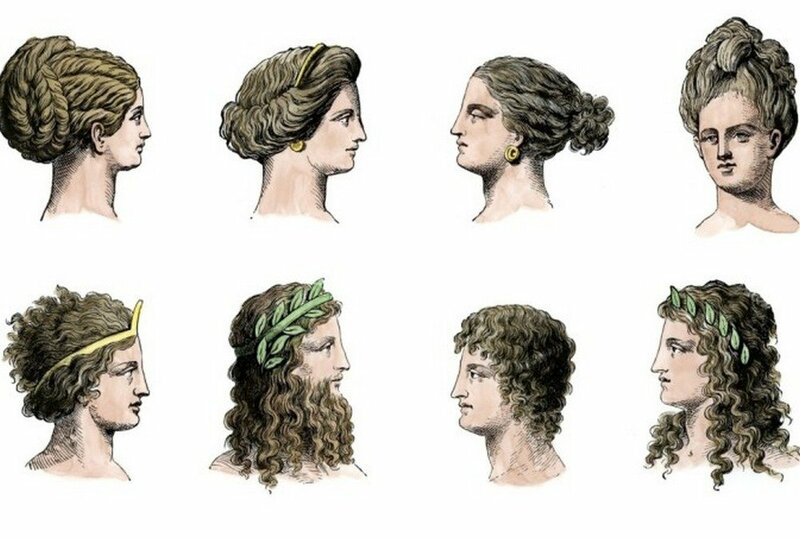 Starting in the 5th-century B.C.E, Greek men started to carry their hair short. This was as a result of the order of Alexander the great insisting that his soldiers shave their beards to prevent them from being dragged by the beard during combat.